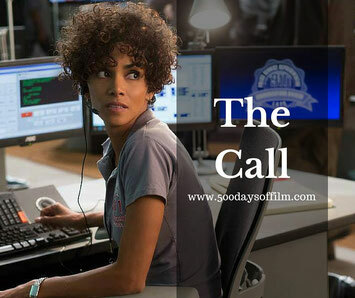 When experienced 911 operator, Jordan Turner (Halle Berry), takes a distressing call she knows that she must put her own fears aside if she stands any chance of saving abducted teen Casey Welson (Abigail Breslin). Casey is calling from the boot of her abductor’s car and there is no time to lose. However, in order to help her, Jordan has to confront her own past. She is still damaged from a call that went terribly wrong, when a lapse in focus resulted in tragedy. Jordan has to move past this event in order to save Casey - before it is too late. The Call is three quarters of a thrilling film - close to being great but, unfortunately, not quite making it at the end. I really enjoyed the first part of this movie. Both Halle Berry and Abigail Breslin give strong and engaging performances. The film develops a really interesting back story for Jordan and forces both women to be brave and confront their darkest fears. In addition, The Call utilises key horror tropes (home invasion, abduction, small claustrophobic spaces) well and it all felt pretty tense. Casey is in a truly horrible situation. As I watched, I couldn’t help but wonder what on earth I would do in her shoes. As a result, I was eager to see what Jordan could do to help Casey. The film offers some innovative plot developments in this regard and manages their impact well. The Call also develops a powerful bond between the two women - a relationship that I enjoyed at first. The Call’s strongest asset is its position in the 911 emergency call centre, or the hive. I was fascinated by the intense and dramatic nature of the emergency calls and the impact that they have on the operators. I wanted The Call to develop this angle further. However, the film takes another path, runs low on steam and then, sadly, rolls out one ridiculous thriller clique after another. Having been gripped and happily entertained for the first half of The Call, it then began to lose me - my mind started to wander and I caught myself reaching for my phone. I think The Call’s director, Brad Anderson, was hoping to finish on a new, dark and twisted note. However, as much as I like dark and twisty, the ending of this movie did not work for me at all. Nice to see The Sopranos’ Michael Imperioli in this film. Have you seen The Call? What did you think? What are your thoughts about this film’s ending? I’d love to know. Just leave me a comment in the box below!